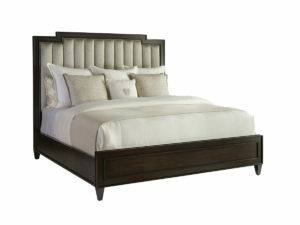 The Shorecliff canopy bed offers a dramatic interpretation of new traditional style. 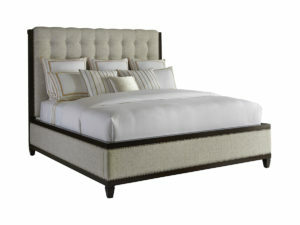 The headboard fabric, in a natural raffia coloration, is framed with aged bronze nailhead trim, creating an ideal backdrop for showcasing layers of pattern and color on the bedding ensemble. 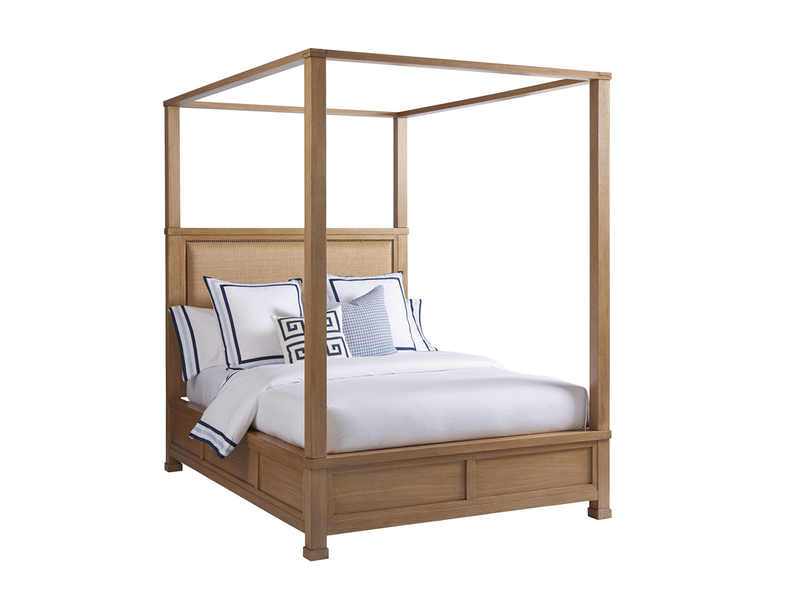 This bed can be converted to a low-post configuration, using decorative post caps in aged bronze that are included with the piece. 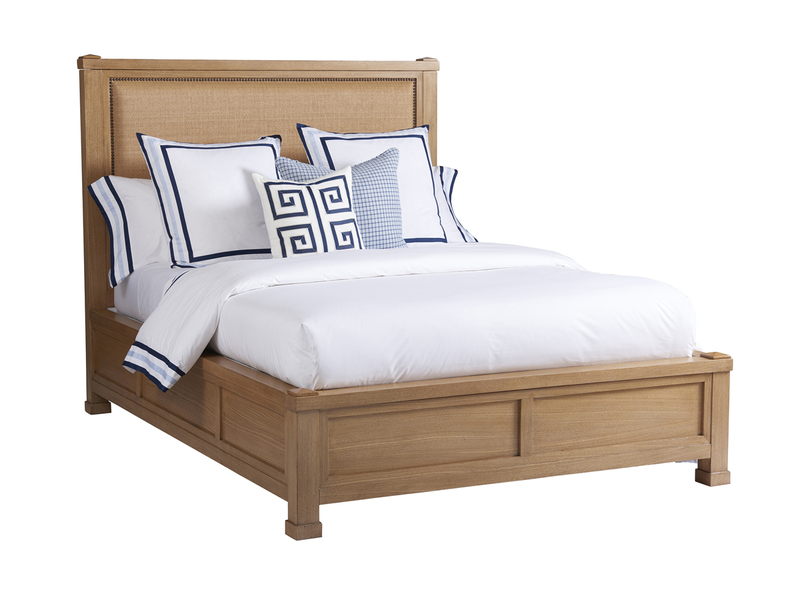 The bed is available in the Sandstone or Sailcloth finish. 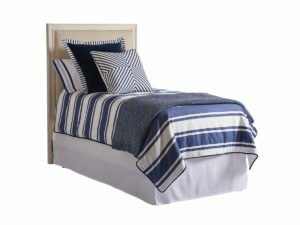 The fabric panel is only available in the Palmera pattern 494412.